Life insurance was designed to help the families of recently deceased loved ones pay for their final expenses and pay off some debts that could potentially cause a financial hardship. However, the life insurance policies offered today have many more benefits to them than ever before. Here are some of the advantages of having a life insurance policy. • Risk Cover – The main purpose of having a life insurance policy is to provide a financial benefit to the family members of someone who is recently deceased. Having life insurance ensures that your loved ones can continue living a full quality of life without the worry of financial hardship in the event you pass away unexpectedly. • Planning for life stage needs – Life Insurance is also a long term investment vehicle you can add to your portfolio that can help you meet certain financial goals such as paying for a college education or providing additional financial security for your retirement. Traditionally, whole life policies offer many features in addition to a death benefit, including guaranteed cash values and guaranteed maturity values that are designed to be used as financial tools. • Protection against rising health expenses – Life insurance can also help you ward off expensive health care costs by adding a health insurance rider. This protection can supplement your stand alone health insurance policy to help you reduce your out of pocket expenses as you age. • Assured income through annuities – Life Insurance helps with retirement planning in that the cash value of the policy builds value over time and can provide monthly retirement income through an annuity provision. This will supplement your pension, 401(k) or IRA distributions, and Social Security payments in order to provide a more stable retirement income. • Growth through dividends – Traditional, whole life policies offer policyholders the ability to take advantage of market increase much like a regular investment, which will help you grow the value of your policy faster. • Facility of loans without affecting the policy benefits – Policyholders of certain types of life insurance policies can take out loans against the value of their policies, much like the loan provision on an IRA or 401 (k). This provision can help you meet financial goals without negatively impacting the policy. • Mortgage Redemption- In addition, having life insurance gives you the ability to cover debts such as your mortgage and other loans in full. This helps take the additional financial burden off of a grieving family in the event of an unexpected death. 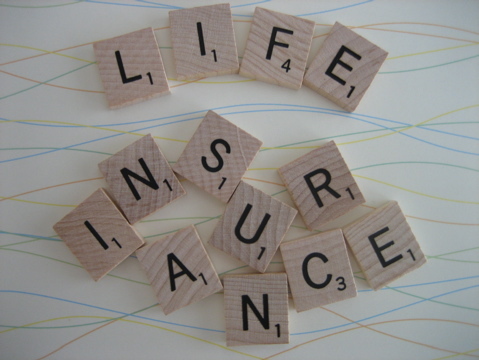 Life insurance policies offer many more benefits than they did years ago. This makes having life insurance even more important than ever before. If you don’t have life insurance or want to discuss your Life Insurance Bedford, TX options with a professional, take the time to schedule an appointment with an Insurance Company Bedford TX today. With the peace of mind that having life insurance provides, you and your family will be glad that you did. If you are in need of Life Insurance Bedford TX, you need to call the leading Insurance Company Bedford TX has to offer: The Golseth Agency is ready to help you with all of your insurance needs.